Though the cigar of the legendary granddad of the Cuban music scene Compay Segundo went out for good in 2003, his image comes to life every time his band, Grupo Compay Segundo, plays his classic hits: Chan Chan, Μacusa, Sabroso, Las Flores de la Vida, etc. 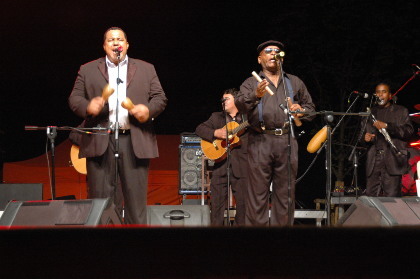 on stage at the Hotel Nacional and the Habana Cafe in Havana, but also before thousands of fans in the largest cities of Europe.The dream team line-up of the current band includes Salvador Repilado Labrada as musical director and playing double bass, Hugo Garzon Βargallo on vocals, Rafael Fournier Navarro on bongo drums, Haskell Armenteros Pons and Rafael Inciarte Rodriguez on clarinet, often accompanied by other big-name musicians. 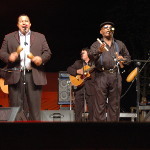 They will warm our hearts by presenting contemporary Cuban musical culture with passion and limitless energy.